Hello, I would like to see more pictures of the 2018 CHEVROLET SILVERADO 1500, stock# 7102. Hi, my name is and I am interested in your I need info about your 2018 CHEVROLET SILVERADO 1500 (7102). Well optioned 1LT crew cab with trailer brake controller, heated front seats, All Star Edition, locking rear differential, power drivers seat, LED fog lamps, dual zone climate control, tilt & telescoping steering wheel, remote start, rear window defroster, 110 volt outlet, 18" polished wheels, 18" all terrain tires, LED cargo box lighting, built in 4G WiFi, and a whole lot more!!! *Default estimated payment is based on 3% rate for 72 months and $9,831 down payment. Estimated payments are for informational purposes only and don't account for acquisition fees, destination charges, tax, title, and other fees and incentives or represent a financing offer or guarantee of credit from the seller. Please send me the vehicle history report for your 2018 CHEVROLET SILVERADO 1500 (7102) that I saw on the KX Automall. 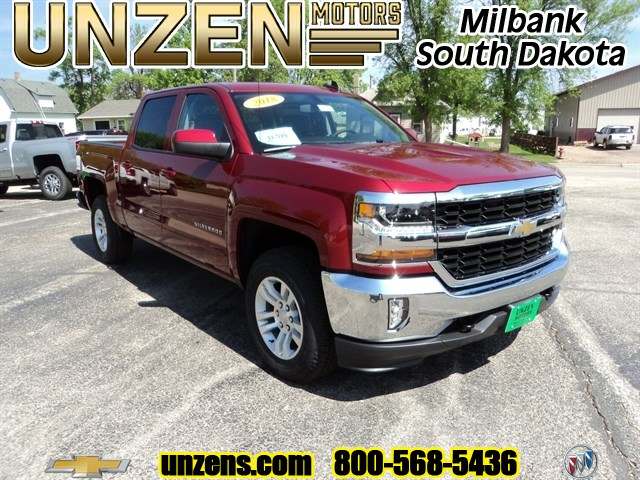 I am interested in this 2018 CHEVROLET SILVERADO 1500 (7102) that I saw on the KX Automall. Please contact me with more information.